FL Technics Jets has become the first authorized service center for Tronair’s ground support equipment in Eastern Europe, Russia and the CIS. FL Technics Jets has become the first authorized service center for Tronair’s ground support equipment in Eastern Europe, Russia and the CIS. FL Technics Jets was also appointed an official distributor of Tronair’s GSE products for the entire region. Under the new partnership, FL Technics Jets will be providing maintenance, repair and overhaul services for various lifting, air conditioning, de-icing, hydraulic power, fueling and landing gear equipment as well as other ground handling inventory. Additionally, FL Technics Jets will promote and sell Tronair’s inventory in Eastern Europe as well as Russia and the entire CIS. 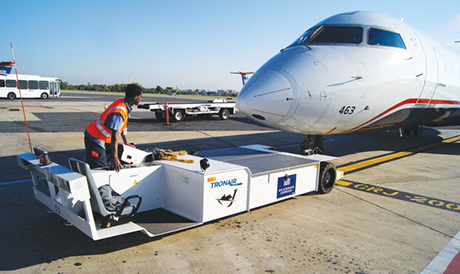 Tronair’s products cover ground handling equipment for commercial aviation (Airbus, Boeing, Bombardier, Sukhoi), as well as business and general aviation (Hawker, Beechcraft, Gulfstream, Embraer). Some of the equipment and parts will be stored at FL Technics Jets’ warehouse in Vilnius, Lithuania. “We hope that our long-standing experience and understanding of the aviation industry in the region will help Tronair to expand the geography of its products,” said FL Technics Jets CEO Darius Saluga.